You can schedule an appointment from our online booking service, or by phone at +358 45 208 0533, or by popping by to visit us in person 10.00-18.00. Kauneushuone Hemma is a beauty and skin therapy salon in Pikku Huopalahti, which serves You by the highest quality standards and with the best skin care products. Together we can tailor a treatment that is best suited for You and Your skin. Kauneushuone Hemma wishes you a warm welcome! Home is where the heart is. My heart beats for sharing joy, well-being and beauty to others. 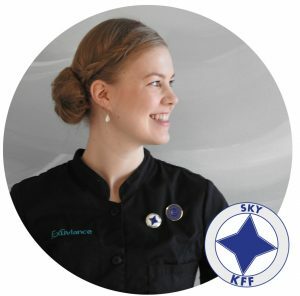 It is on this passion and these values I have based my company Kauneushuone Hemma. Kauneushuone Hemma uses effective skin care products: Exuviance, Hydra Facial, Alexandria ja Jane Iredale. Wether You are considering a facial, manicure, pedicure, body treatment, hair removal, make-up or coloring your lashes or eyebrows, Kauneushuone Hemma is the salon for You! Hemma’s broad selection of treatments range from deep cleansing facials and effective equipment treatments, to relaxing facials with lengthy face massages. We offer you a relaxing body massage, lymphatic draining treatments and back cleansing. Hemma’s selection includes permanent eyeliner and makeup for eyebrows. We use the high quality Swiss Color PMU pigments for permanent makeup. Hemma offers light all-day makeup, makeup tutorials or makeup for events, such as parties or weddings, made with the caring Jane Iredale-makeup series. Our pedicure makes your feet feel light as a feather! Soft feet and lean nails are on the ”must have”-list. Shaping of nails, cuticle care and hand massages are all found on our treatment menu. Our paraffin wax treatment makes your hand feel even softer. Hemma’s manual lymphatic draining treatments are relaxing but also boost for your metabolism. Available for face and body. We take our time to tint your eyelashes and eyebrows, so we can ensure the best result. We also have YumiLashes lash lift on our treatment menu. A gentle hair removal technique, that also peels the skin. I love my job because it’s like a puzzle – I meet new people, help them find solutions for their skin / beauty problems. This job is not only what you see, but also what you feel. It’s amazing what a touch of a hand can do! One of my colleague once said “Beauty is a journey which last for lifetime”. I think that phrase reflect well how we should take care of our skin and how we picture ourselves is different points of life. I have enjoyed beauty field over 20 years! I’m just felling love with my job again and again. I keep myself updated with seminars and I have seen how the field has changed over the years. The best feeling is when the hard work and several treatments are finally paying off and client’s skin is the glowing and healthy. Over the years I have get many loyal customers and getting that kind of trust is overwhelming. Facials and pedicures are my strengths, but I also like tinting eyebrows and eyelashes, also waxing is fun. My beauty tip: The best face lift happens by forming and tinting the eyebrows. 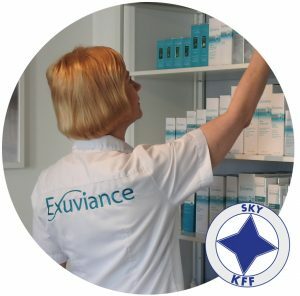 Kauneushuone Hemma sells Exuviance skin care products, Hydra Facial skin care products and Jane Iredale mineral make-up. mon-fri from 10:00 to 18:00.